In this LXTV Open House segment, we tackle age-old real estate myths to determine if they’re truly fact or fiction. When it comes to real estate, there can be a lot of opinions. Sometimes, it can be hard to tell what is fact and what is fiction. Is Spring really the only season to sell my home? Is location, location, location the number one factor in real estate? Wondering if something is fact or fiction? Well, Ron Aiosa of the Coldwell Banker Boswell Aiosa Group is our real estate myth buster. Aiosa answers questions about curb appeal, the importance of location, and the cost of remodeling. Check out the feature below, which first appeared on LXTV Open House, to find out what is real estate fact and what is real estate myth. When life gives you lemons, you make lemonade. So when her husband left her for a younger woman, Elle Zober decided to use that as a ploy to sell the family home they once shared. The sign says: “Husband Left Us for a 22 Year Old … House for sale by scorned, slightly bitter, newly single owner … Adulterers Need Not Apply“. Full disclosure is always appreciated. Your cat will love it. 1. Survey – Do you have a copy of a current survey on your home? Have this document available and provide to your listing agent so they can include in the information about your home. Buyers want to know about property lines, easements, conservation buffers, if there is room for a pool, if the property line extends to the water behind your home, etc. Having a survey to provide upfront will help to eliminate these types of concerns vs. waiting until a property is under contract. 2. 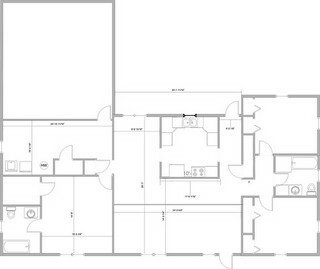 Floorplan or Appraisal Sketch – Buyers often need to know room dimensions as it helps with determining furniture placement and to ensure how what they have will fit (or have to be reconfigured) in the new space. As any real estate agent can attest, many hours have been spent measuring spaces while looking at a home and comparing that against the existing buyer’s furniture dimensions. I’ve encountered entire home searches that revolved around a great room accommodating an entertainment center and the garage size so a motorcycle could fit in addition to the cars! 3. 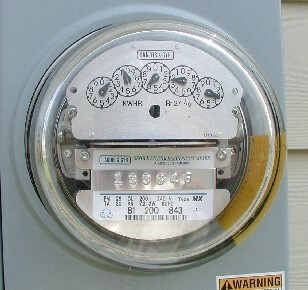 Utility Bills – Buyers want to get an idea of what they can expect the heating and cooling bills to be in a home. Review your bills over the last one to two years to get an average in the various seasons, or call your local utility provider as they can often provide you with information on the high, average and low costs. This information can be very beneficial when a buyer sits down to number crunch their total costs of owning a home. If you had an unusually high or low bill, provide some explanation to accompany the numbers. 4. Termite Bond – In many markets where termites are alive and well, it is common place for homes to have some sort of protection plan in place which is also known as a bond. InFlorida, where I live and work, this is a primary concern and often one of the first questions buyers and their agents want to know. Prior to listing your home, obtain a copy of your termite bond policy from the provider, know exactly what type of bond you have – repair or treatment bond and up to what dollar amount of coverage is it good for. Also know how long the bond is in effect, when it is up for renewal and what the renewal fee is, if there is a transfer fee and what does it provide protection for – not all bonds provide protection against all different types of termites. 5. Pest Control – If you maintain any type of pest control on your property, compile information as to who the provider is, what you have done, how much you pay and how often does the company come out to treat the property. A copy of your service agreement is helpful in this instance. 6. Insurance – Buyers especially want to know who a seller uses for their homeowners insurance and how much they pay. This is particularly the case in higher risk areas (where there are hurricanes, floods, fires, etc.) With homeowners insurance potentially more difficult to obtain in some areas, going through the existing seller’s insurance company can help streamline the process, particularly on an older home. 7. Product Manuals and Warranty Documents – Now is the time to gather the various product manuals for all items that will be staying in the home such as appliances, water heater, heating and cooling system, ceiling fans, pool equipment, etc. If your home came with any warranties, be sure to include these for the new owner as well. Putting all of these in one large envelope makes it easy for everything to be readily accessible in one place for the new buyer. 8. Service Providers – Compile a list of all service providers/vendors and their contact information who you have used on your home – lawn service, pool service, A/C company, etc. While a new buyer may or may not choose to use these services, they will certainly appreciate having resources available to them and may elect to initially use them as they make the transition to living in your home. 9. Covenants and Restrictions, Neighborhood Rules and Information – This is key critical information for a new owner to have on hand. A contract may likely hinge on the buyer’s review of this information, so easiest to have it available ahead of time. If you don’t have these, contact your neighborhood’s association president or management company for assistance in obtaining a copy. Many of these documents are matters of public record and are available by going online to the appropriate municipality’s website. Work with your agent to create an informational package or binder that you can provide to prospective purchasers that come through the home with the information mentioned above. Gathering this information before you put your home on the market will save time and make the process that more efficient once you find a buyer. It may even help your home to sell faster as all of this information is available upfront, eliminating the need for guesswork and waiting on answers while another property could possibly come on the market to grab the buyer’s attention. You want to help keep the buyer focused on your home, so make it easy for them to buy by giving them what they want. Happy selling! So you decided to have everyone at your home this year. It’s a big undertaking, but we’re here to help. Thanksgiving is one of the biggest family holidays of the year—and maybe the most delicious. There’s nothing like the after-dinner food coma that evening, and knowing you have leftovers to get you through breakfast, lunch, and dinner practically until Christmas. If the hosting baton has been passed to you this year, we know your first instinct is to panic. Not to worry: We’ve mapped it out. Here, a foolproof timeline and checklist so no detail goes forgotten. “Start planning out simple things, like event flow,” says Lilly. Think about where you want guests to sit, and where you want to set your food (if you’re doing buffet style). With more than eight guests, buffet is the easiest way to go—especially if you’re short on space. “You can do a beautiful party in a small space by utilizing all of your sitting areas,” says Lilly. This means you may want to purchase cheap lap trays for older guests or young children who might have trouble balancing dinner on their knees. When creating a menu, go for recipes that are simple and trusted—like these easy stuffings, or these colorful sides. While it’s fun to have one unique item at your meal, go for a signature cocktail, not a stuffing recipe that requires bizarre ingredients and three days of prep. Once your menu is set, write out grocery lists. You should divide the list into perishables and nonperishables to make shopping and storing easier. Need menu inspiration? Find it here. Pro organizing tip: “Print out a blank November calendar, and then fill in with when you will shop, when you will make certain dishes ahead, and any pick-ups you may need to make or deliveries coming to the house,” says Diane Phillips, James Beard Award nominee cookbook author and cooking teacher. “For the turkey, you will need three-quarters to a pound of turkey per person,” says Phillips. This will still leave you with a day’s worth of leftovers. Buy the bird as early as possible and freeze it. Just remember: You need one day of thawing for every four pounds of turkey. While you’re at it, consider ordering prepared h’ors doerves trays from the grocery store or desserts from the bakery that you’ll also want to serve. One more thing checked off your list! Take note of how many people are coming to your house, and in that list, how many are children. From there, ask people to help. It’s not unreasonable to ask guests to bring a dish—and often, they will offer! Taking care of this task in advance saves you a little bit of stress on the day-of. If you can’t set it an entire week in advance, shoot for a few days ahead. Have place cards ready if you’ll all be sitting at one table to avoid any confusion. Place yourself closest to the kitchen, and not necessarily at the head. It’s best to split up couples for a livelier dynamic, but keep small children between their parents. Bonus tip: Seat lefties at corners, where they’ll have room to eat without banging elbows. Consult your grocery lists and get your shopping out of the way. Does anything sound worse than a last-minute trip to the local grocery store on Thanksgiving Day? If you shop about five to six days in advance, you should have little-to-no issue with your perishable items. To ease your burden, consider passing off dessert to a guest or a local bakery, says Lilly. Offer up recipe suggestions to the family member who can bake up a storm, or visit the grocer to order ahead. Make sure you have fresh towels and linens on hand for overnight guests, and their room is ready to go. If you have a small home and no guest room, there are plenty of ways to make guests feel comfortable without their own space. Do you have a thermometer? Enough casserole dishes? What about plates and silverware? Ensure that you have all of the essential turkey tools before diving into cooking. Here lies Phillips’ secret to a stress-free holiday:make-ahead dishes. Gravy bases can be frozen, and casseroles and vegetables can often be cooked ahead and refrigerated for up to two days. If it can’t be cooked in advance, maybe it can at least be prepared. For example: your potatoes can be washed and ready to peel and mash. On this holiday, there is no sleeping in. Make a schedule, and stick to it. Most importantly: You want to be ready up to an hour before guests are scheduled to arrive. What does this mean? The table or buffet should be set, and more importantly, the drinks should be chilled. If you give yourself an hour-long buffer, you’ll save yourself a lot of scrambling. Use the microwave—it’s insulated, so it will keep dishes warm for up to half an hour—just don’t turn it on. Pour gravy into a thermos to keep it steaming. Spoon mashed potatoes or rice into an insulated ice bucket or Crock-Pot. Prepare every room in the house. 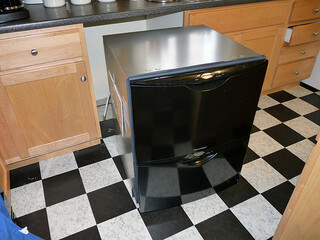 Start your holiday with a clean kitchen—this means empty dishwashers and trashcans. Line your bins with more than one bag so that you have a fresh bag ready to go when one becomes full. Remove precious objects from the living room to save them from hyper nieces and nephews. If coats and bags are going on your bed, cover your duvet and pillows with a sheet to protect them from the elements. Finally, light a candle in the bathroom—it’s just a nice touch. 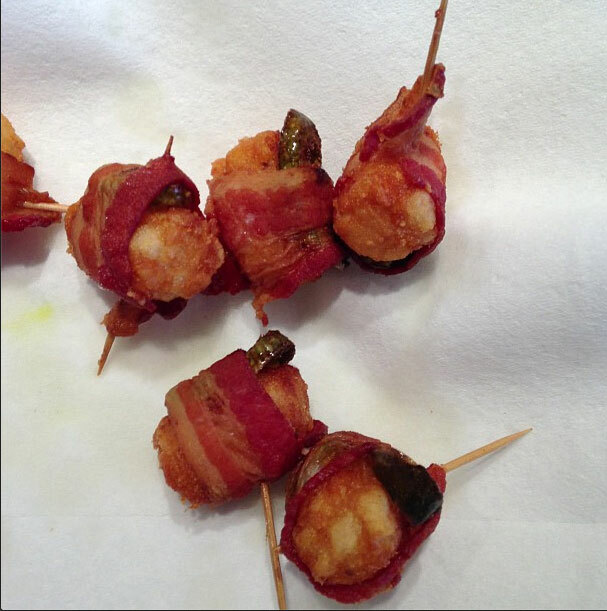 To know it’s done, use a meat thermometer in three spots: breast, thigh, and stuffing. Place the thermometer in the thickest part of the thigh, without touching the bone, and in the center of both the breast and the stuffing. If your turkey is unstuffed, cooking times are different—see this handy chart for answers to all of your turkey cooking questions. Brining your turkey will make it even juicier, and it’s an easy skill to master. If something goes wrong, don’t panic. 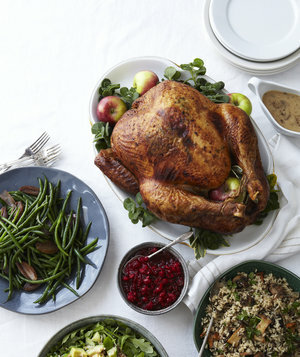 Call mom, consult these turkey tips, or phone one of these helpful Thanksgiving hotlines. Get your stain-removing arsenal ready. When you crowd family members into a home, and couple that with delicious dinner, food will fly. White cotton cloths can sop up spills; white vinegar can handle coffee splatters; white wine can overpower its evil twin, red wine; a pre-treat stick like Tide to Go will handle major food slips. This holiday is all about being grateful for what you have—even if the turkey is burnt and the tablecloth is a mosaic of stains, enjoy the time you have with family and friends, and take note of funny stories to tell at next year’s dinner. Jessica Edwards with Coldwell Banker Sea Coast Advantage shares what to expect in this important part of the home buying process. So, you’ve found your dream home and you’ve nearly made it through the home buying process. You’ve made an offer on a house, you’ve gotten approved for a mortgage, and you’ve conducted a home inspection. Now, it’s time for closing. So, what happens at a closing on a home? In the below video, real estate professional Jessica Edwards with Coldwell Banker Sea Coast Advantage explains the closing process. 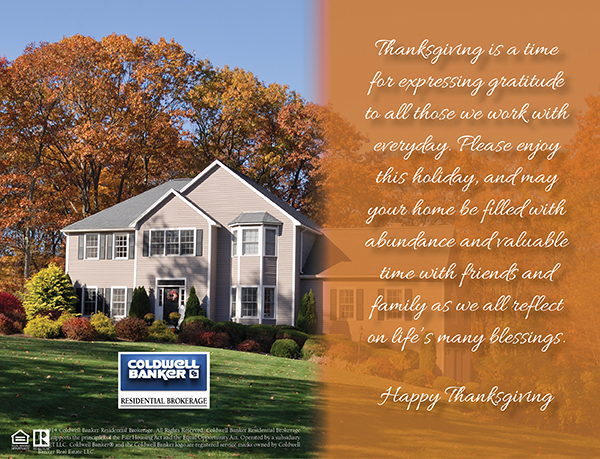 Whether you’re just starting your home search, or getting ready to move to your next home, home begins at coldwellbanker.com.